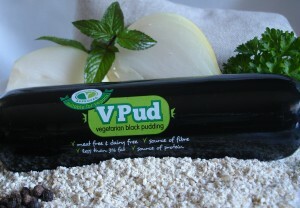 Home » Blog » Press Release: The all new V Pudd. Press Release: The all new V Pudd. The Real Lancashire Black Pudding Company has been making award winning traditional Black Puddings for nearly 20 years following an age-old, secret recipe. Using traditional methods and a twist on the recipe V Pud, vegetarian Black Pudding, was launched five years ago. Since the V Pud’s world debut the demand from wholesale customers and members of the public has been extraordinary. Due to this success and wanting to make the V Pud available to even more people, the team at The Real Lancashire Black Pudding Company has reformulated the V Pud so it’s is now suitable for Vegans too. Not only was the V Pud voted “Best Breakfast Product by the Vegetarian Society in 2010” it was also featured on the T.V show “The Great British Menu” and has been approved by the Vegetarian Society for vegetarians and now vegans. The good news is, it now contains only two allergens; celery and gluten and nutritionally it is less than 3% fat and an excellent source of protein and fibre. 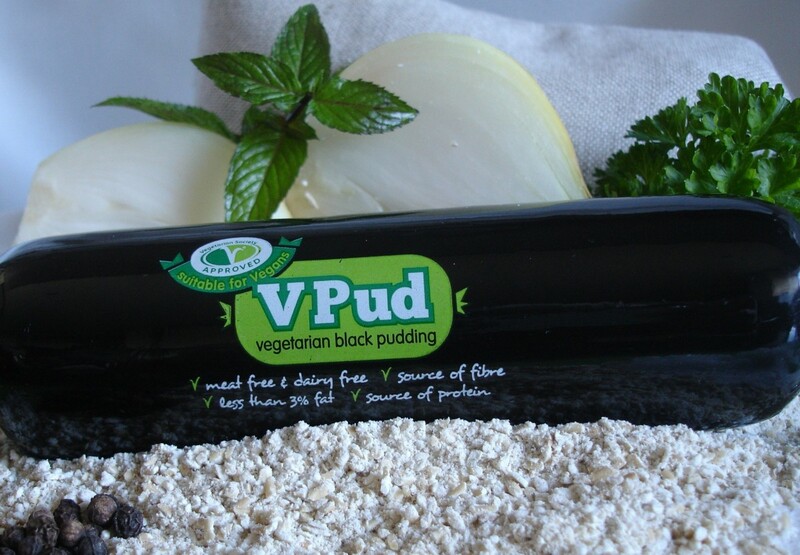 Andrew says “it is a great product and now suitable for so many diets, even those people that enjoy the traditional black pudding can enjoy the V Pud as it is so versatile. The V Pud also has an extended shelf life of up to 10 weeks, this makes the V Pud a much more appealing product for the wholesale and retail industry as this new shelf life reduces and minimises any waste. To help increase the V Pud’s saleability it has been re-launched in brand new distinctive packaging to reflect its new vegan status and it’s available in a handy 200g pack. The new vegan V Pud is being launched on the 5th November, if you would like to know about the new and improved V Pud contact Real Lancashire Black Pudding Company 01706 231029 or visit www.reallancashireblackpuddings.co.uk. If you are a local food producer, retailer or restaurateur and want to join Andrew in his campaign to encourage consumers to ‘think, buy and eat local’, please get in touch with Made in Lancashire on 01995 642214, visit the website www.madeinlancs.co.uk or find them on Twitter @lovelancsfood.